Rent an dumpster in Broadview Heights. Call Haul-Away today to rent a dumpster in Boradview Heights, Ohio. 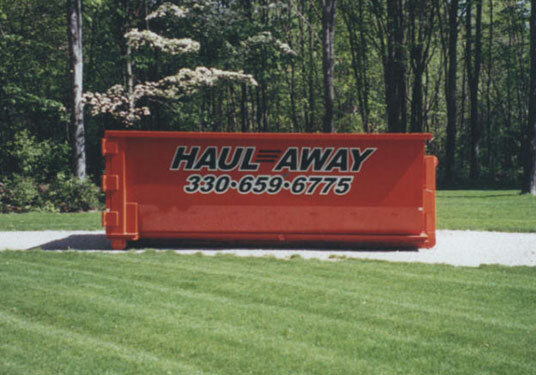 Haul-Away is a local dumpster rental company located in Cleveland offers fast and affordable roll-off dumpsters. We offer a standard 7 day dumpster rentals from 7 yards to 40 yard dumpsters. We specialize in commercial or residential dumpster rentals. Our licensed haulers can deliver dumpsters for a variety of cleanups, including demolition, home remolding, and renovations at commercial or residential places in Broadview Heights Ohio. We can even accommodate special orders from customers who want multiple dumpsters sizes or dumpster deliveries. Need a dumpster at the listed rental rates today? Haul-Away makes deliveries Monday through Saturday, either on the same day of the order or the day after. Please contact us at 440-546-1879 to reserve a unit. We accept cash or check on delivery, or credit card payment when the order is placed. Need a dumpster for more than 1 week in Broadview Heights?